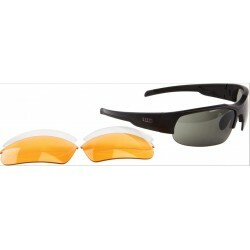 5.11 Tactical egykezes zsebkés 4" closed. 2 5/8" black finish AUS-8 stainless tanto blade with thumb hole. 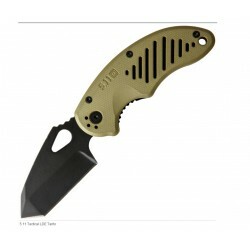 Underbrush OD green FRN handles with machined slot cutouts. Lanyard hole. Reversible black finish stainless pocket clip. 5" closed. 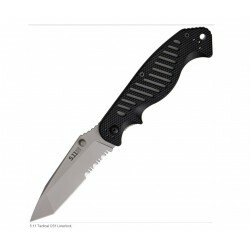 3 3/4" bead blast finish AUS-8 stainless tanto blade with dual thumb studs. Textured black FRN handles with machined slot cutouts. Lanyard hole. 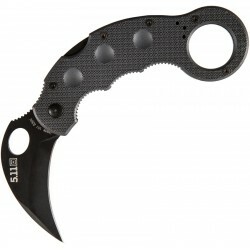 Four way reversible black finish stainless pocket clip. 5" closed. 3 3/4" bead blast finish AUS-8 stainless spear point blade with dual thumb studs. Textured green FRN handles with machined slot cutouts. Lanyard hole. 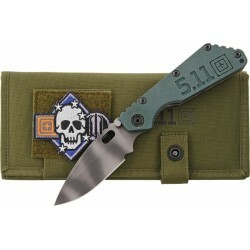 Four way reversible green finish stainless pocket clip. 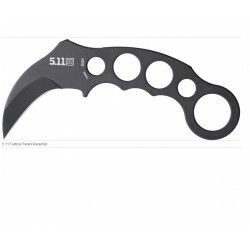 5.11 Tactical Tarani Karambit. 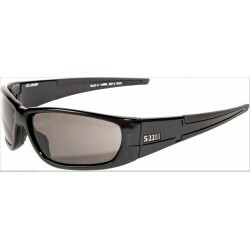 One piece AUS8 stainless construction with black Teflon coating. 6 1/2" overall. 2 1/8" curved utility blade. Skeletonized handle with finger hole. Molded black Kydex sheath with black finish beaded neck chain. 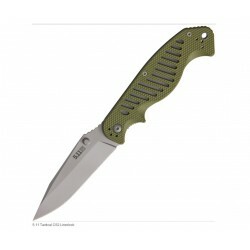 Type: Framelock; Closed: 5.25"; Blade: 4" | CTS-875P Stainless | Standard Edge; Handle: Green; Other Info: Thumb Stud(s) | Pocket Clip | Thumb Ridge. 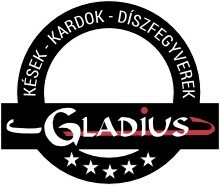 CSAK ELŐRENDELÉSRE ! 5 1/8" closed. 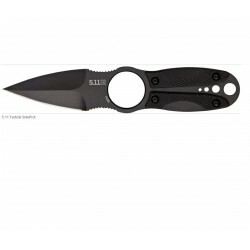 2 3/8" black charcoal oxide finish AUS-8 stainless blade with thumb hole pull and thumb ridge. Black charcoal fiberglass reinforced nylon handles with TripleHeight grip texturing and smooth divot indentures improve retention and control. Oversized finger ring pommel. Reversible black stainless pocket clip. Built with input by Steve Tarani. 4" closed framelock. 3" AUS-8 stainless wharncliffe blade with black oxide coating and Blade-Tech V-Hole for easy, quick deployment. Textured injection molded FRN battleship gray handles with slotting for added grip and pass through to black-oxide coated liners. 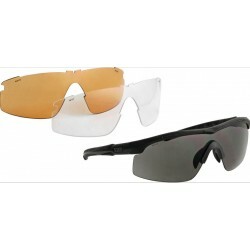 Black Teflon coated pocket clip with right and left carry options. Mike Vellekamp design. 4" closed. 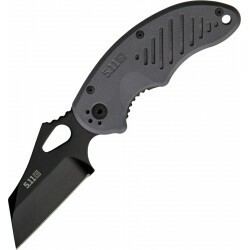 2 1/2" AUS-8 stainless spear point blade with black oxide coating and Blade-Tech V-Hole for easy, quick deployment. Textured injection molded FRN moss green handles with slotting for added grip and pass through to black-oxide coated liners. Black Teflon coated stainless pocket clip with right and left carry options. Mike Vellekamp design.